Who doesn’t want to get a 70% royalty!? I can’t think of anyone that wouldn't but it does help to understand the quirks and rules that determine when you get the higher royalty, and when you don’t. And what you have to agree to in order to get it. Here are what I consider to be the essential 6 things everyone should know about Amazon’s Kindle royalty structure. If you don’t like any of the items on this list you will have to select the 35% royalty or contact Amazon (good luck!). Keep in mind that even when you sign up for 70% you may not get it on all sales, or in all situations. You will price your eBook between $2.99 and $9.99. You may have heard of different royalty arrangements for books priced higher than $9.99, and there are, but they aren’t available to self-publishers. You won’t get 70% in all territories. In all others you get 35%. The territories where you get 70% are the U.S. and most of Europe. Also read #6 below and see this page for an updated list of countries where you get 70%. Your eBook must not be in the public domain. That 18th century classic that is out of copyright is only going to fetch you 35%. You need to own the copyright if you want to get 70%. Your eBook must be part of KDP Select IF you want the 70% royalty on eBook sales in Brazil, India, Japan or Mexico. For more information on minimum pricing see this page. Do you have a question that isn't answered here? Feel free to contact us if you are preparing to publish your eBook. Diane Salucci was right. These are great tips, as I get closer to a final script. All I can add is..keep up the good words! Thanks Chuck, glad the you found the information helpful. Thanks for the info David. I am about to hit publish button and I’m faced with the % issue. Even if I select only the US and UK, it still says I have to fill in all the other countries, which leads you to KDP Select by default. Either that or we choose 35%. Hm. This doesn’t sound right to me. You are always able to choose individual countries. But one thing that is confusing is the requirement that you must join KDP Select to get the 70% royalty in India, Brazil, Mexico or Japan. If you don’t join KDP Select you will get 35% in those countries. It STILL seems to me that it is a no-brainer, for short books or books with text only, to choose the 70% royalty. Which leads me to wonder if Amazon might actually perform unspecified services for those who are more willing to SHARE the 70% with Amazon. Some extra promotional kinda things, like displaying your title more often more prominently. Is this a silly notion? Amazon seems to focus on selling and giving the shopper a good deal rather than putting the priority on margins like Apple and BN seem to do. So if they seem something is selling, they goose their system to show the book more often. I don’t know of anyone who trades part of their 70% royalty for extra promo. In fact, even when Amazon discounts a book they still pay the royalty on the publisher’s price. Not clear on this. Since each different format requires a unique ISBN…..then does each new ISBN require a unique Copyright filing? No Leland, ISBN has nothing to do with copyright. i.e. a print book and eBook could be 2 ISBNs but a single copyright b/c copyright applies to content, not format. Apart from author I am also artist sculptor my co-writer she is an ex skipper of sea net fishing boat, Are paper book story is in great demand from the public. -50% royalty is fair. Large publishers like to pay 25%, because they can, but many startup publishers are going with 50/50. -How long is the contract term? I’d try to limit it to 2 or 3 years. -£150 may or may not be a lot for a conversion, it depends on the complexity of your book. It seem on the lower end so that’s good for you. But keep in mind that books usually sell the most when they are released and your POD company will capture those profits. -What specific things do they do to advertise it? Putting it on “selling platforms” or “into 25,000 libraries” is something you can do. If you are a book marketer, or have an interest, this may not be that good. But it sounds like your passions and experience are in other pursuits in which case this seems like a good arrangement. Based on what you told me, I can’t say this sounds unfair. Just watch how long you are signing up. Thank you. I thought I needed a new ISBN for each digital platform. Your articles are a Godsend. Thank you again. is it such a change that I should consider publishing through a different company? There has been no change. He must be referring to KDP Select which is a marketing program within KDP. Read my recent post on the topic. What really is the best option, in your opinion, for a new author? You always want 70% assuming you qualify. Thank you, David, but you don’t put a case for choosing a 35% royalty. Maybe I just understand. Please advise. Another question. Within KDP Select, can you opt for your book to be free for a few days? Yet another question. Sorry I didn’t put all three together. What is an ‘E-book license holder’? 1. Why choose 35%? I would choose this if my file size was large. At 35 cents per MB, this charge is subtracted from your royalty so at some point, a big file at 35% makes you more money than choosing 70% and paying those fees. Just do the math. 2. KDP Select. Yes, that’s the point. 5 days is the max. Look up the details from your KDP account. 3. The license holder is the party that owns the publishing rights. In many cases it is the writer who is the self-publisher. This is just a technical definition. One thing the nobody seems to talk about with the 70% royalty option with KDP, is that the list price you specify for the Kindle Edition MUST be 20% lower than anywhere else. If it’s not lower, then your royalty drops to 35%. So if you have your ebook for sale elsewhere, Amazon insists on being the lowest price out there, or you get docked heavily. And if I understand their terms correctly, the reduction in royalty rate is retroactive (back to some time period that I can’t remember off hand). Since Amazon is strong-arming you to have them be the lowest price for your book, any customer that does any quick search for your book is going to likely pick Amazon every time (unless they specifically don’t want the kindle format). So it lessens the reason for having your book published elsewhere. I find it fascinating that nobody talks about this. I’ve not seen it mentioned anywhere, except in the terms of agreement from Amazon itself. Bryan, I have never read that in their agreement, or on the royalty page, or experienced that personally or with any client. You must be confusing this with this Amazon policy for ebook vs print book pricing: “The list price [of the ebook] must be at least 20% below the lowest list price for the physical book.” You can find it on this page: https://kdp.amazon.com/help?topicId=A30F3VI2TH1FR8. I’m happy to be corrected so please share more details if you have them. Sounds to me like they are saying that for the 70% option, your digital book must be sold on Amazon at 20% lower price than anywhere else. Also, in Section 5.iv “Non-Compliance” they are stating they will lower your royalties to 35%, and it appears that would be retroactive. What am I missing? I would be glad to know I’m reading these terms wrong! Then I would sign up for KDP without hesitation. NOTE: They say “digital or physical edition of the Digital book.” What the heck does that mean, I wonder. Download versus CD? Yes, you are reading it wrong. But don’t take my word for it–contact Amazon to confirm it. Great article! Short, simple, and precise. I think these types of articles are great, because they show EXACTLY what needs to be known, without too much hassle. is that means if i choose 70% I’m not able to sell in some other countries? how about the physical book? will it be affected ? The decision here has no impact on print books. The royalty payments depend on the country and whether or not you participate in KDP Select. Even if you choose 70% there are some countries where you get 35%. It is best to look at Amazon Kindle royalty page for these specific details since they are subject to change. I am a tutor and will be doing a very short informative course on creating an ebook -using the amazon KDP platform as an example. Is there a very simple explanation to use when discussing the Royalty issues. Not much simpler than my post. This is EXTREMELY helpful, and thank you so much to David and you all! I have JUST launched the eBook written by my ex singing teacher, but have gone down the “self publishing,” route through my own fledgling company Novordium. I’ve done this largely to remove the queries expressed on this thread, and in order to SAVE money on giving away royalties, being charged for download etc. HOWEVER, though it’s VERY early days for me, and perhaps I’ve done far more than most for an author (I’ve formatted the ebook from “word,”, designed eCover, sourced “creative commons,” images, then labelled them etc, created the website, integrated the eCommerce, monitoring the customer service, hosting the site, in fact I’ve done EVERYTHING apart from writing the content) I cannot overstate how “stressful,” taking on this burden really is!!! And this is for an eBook I TRULY believe in, and am exceptionally proud to have DONE all of the above!!! You MUST genuinely weigh up the trade off between giving away some of your profits, for the convenience (and my word it is a great convenience!) of using an established online “marketplace,” like Amazon etc, or keeping the lions share of profits (there will ALWAYS be costs of selling by your own means either for card payments, paypal, hosting, legalities etc) but having to do it ALL yourself. I’m discovering that the “all,” mentioned above is significantly MORE than I’d thought, and even after three days of launch I’m now having a look at the Amazon option?! Bearing in mind I’m not even the AUTHOR, so with my agreement I’d only get a far smaller share than the author of the “AMAZON,” royalty. Anyway, I hope that raises some questions, or things “self publishing,” authors may not have thought about?! I would say if anyone wants to hear more about my experiences, please don’t hesitate to contact me. jeremy.grainger@novordium.com. If I can help in any way, more than happy to! Hi there, I stumbled upon your cool post and I thought I should mention that if you’re into looking a tool that will save you hours of trying to figure out what the KDP sales dashboard means, I’d suggest you try this tool here. No need to install anything. 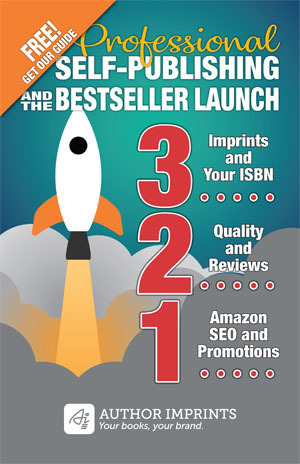 AKreport will transform your vanilla KDP dashboard into a useful one. You can try it for free at akreport.com. You say it depends on the size of the book -My book has 135,000 words- should I go for 35% or 70% royalty? When you upload your book to KDP the system tells you your royalty based on selling price and the size of your book. That will answer your question. Hi. I’m a new author. My KDP ebook has graphics…file size is 5.2 MB The royalty page states at 35% my royalty is $1.40. At 70% it is $2.25. the “delivery charge” is listed separately as “$0.78” next to royalty. It does not show that the delivery fee was taken out of the royalty… so if I subtract the delivery fee… 70% royalty is $2.25 – $0.78 = $1.47…. this is only a 7 cent different from the 35% royalty. Am I interpreting this correctly? Which royalty rate would you select if there was such as small difference in the return? any suggestions helpful …Thank you!!! Multiply 70% times the price of your book and you will get the answer. Unfortunately you did not include that above. i want to publish my book on Amazon. send all info that I need to publish.